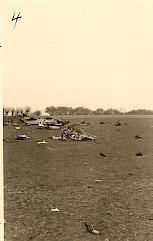 Lancaster I W4945 crashed 29/4 1943 at Remmerstrand. 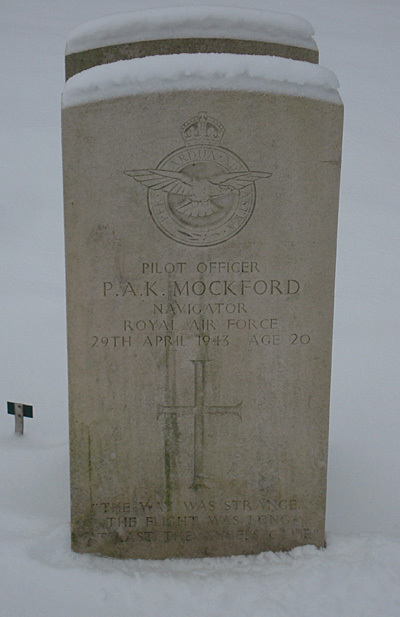 The aircraft belonged to RAF 207 Sqn. Bomber Command and was coded EM-Z. T/o 20:55 Langar. OP: Gardening. On the return flight W4945 passed over the Oddesund bridge from where 3. Batteri Flak Abt. 742 opend fire on the Lancaster. It was hit and the pilot W/O Kenneth R. Rees tried to belly land the aircraft which ended up in the water 100 metres off Remmerstrand at 01:29 hours. 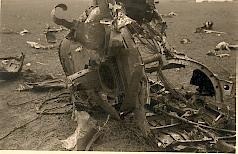 The aircraft broke into three parts and a fire erupted. All onboard died. 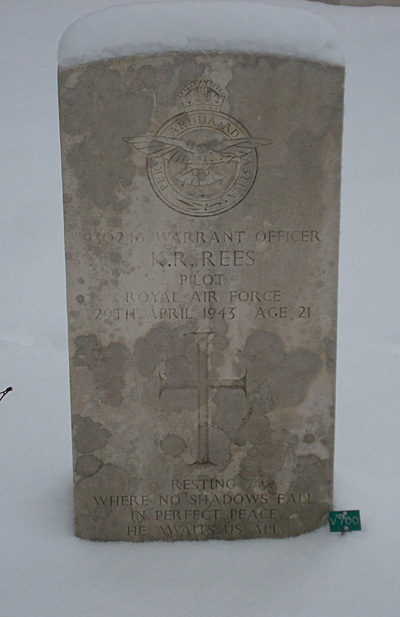 The German Wehrmacht found the dead body of the Pilot W/O Kenneth R. Rees in the wreck and brought it ashore. Flt. Engr. Sgt. 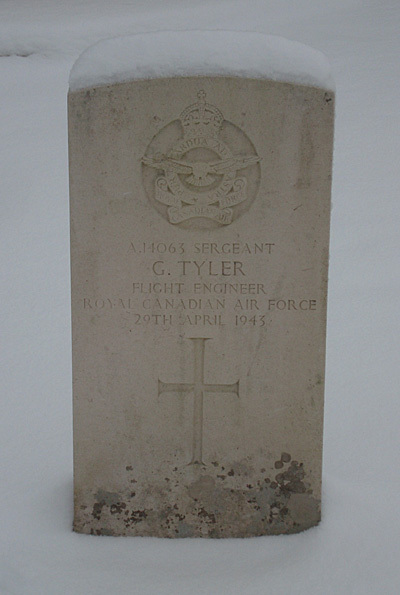 George Tyler RCAF was found washed ashore at nine o`clock in the morning 3 kilometres east of the crash site. Air Bomber Sgt. 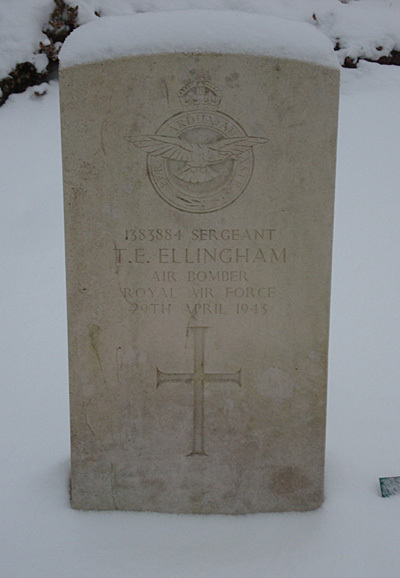 Thomas E. Ellingsham and W/Op-Air Gnr. 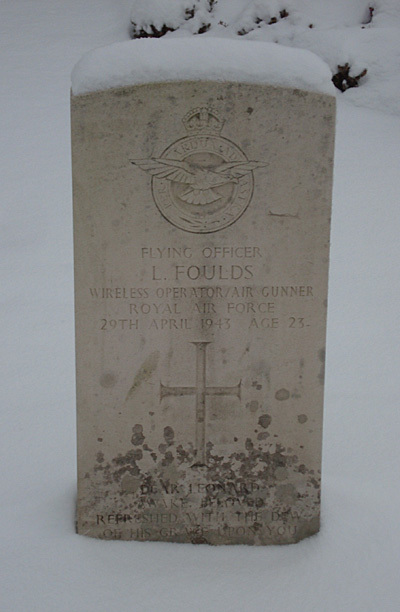 F/O Leonard Foulds were found not far from each other at 12:30 hours. 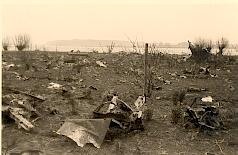 A dead flyer that was only identified in 1998 as Air Gnr. Sgt. Alexander W. Cochrane was later on the same day found by a local fisherman when he attended to his fish traps. 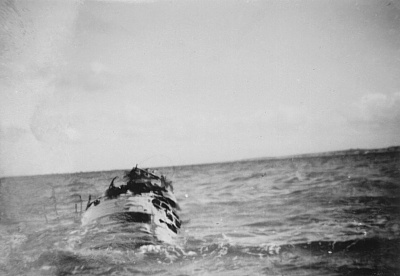 The flyer had survived the crash and had managed to pull himself out of the water by means of a fishing stake to which he had fasten himself by fishing net. Sadly he had frozen to dead. Navigator P/O Patrick A.K. Mockford was found drifted ashore on Remmerstrand beach on 16/5. 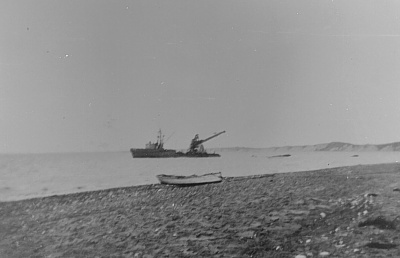 On 29/5 a flyer was found washed ashore near Humlum. In 1998 he was identified as being Air. Gnr. 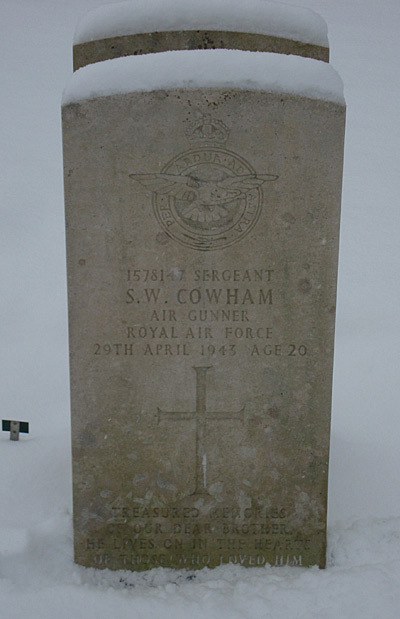 Sgt Stanley W. Cowham. They were all laid to rest in Lemvig cemetery. Rees, Tyler, Foulds, Ellingham and Cochrane on 5/5-1943, Mockford on 20/5 and Cowham on 4/6-1943. 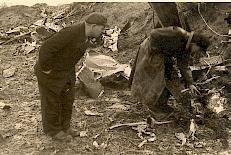 For some years a four Danes known as “The Danish Team” had researched the crash and were able to convince “The Commenwealt War Graves Commision” about the identity of those two flyers who had initially been laid to rest as Unknown. On 18/9-1998 a ceremony was held at Lemvig cemetery when new headstones were erected carriend the names of Sgt. S.W. Cowham and Sgt. 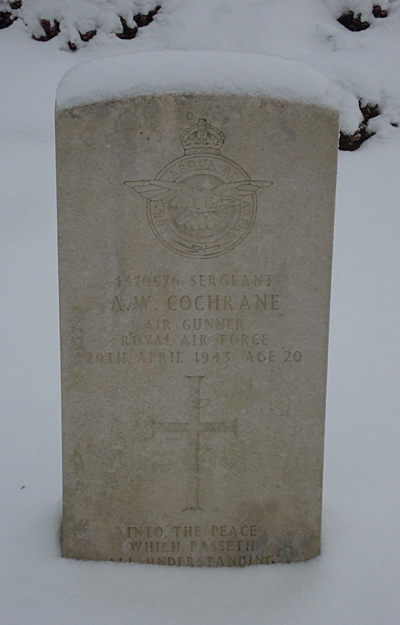 A. W. Cochrane. Sources: LBUK, CWGC, RL 19/456,NES, Report Lemvig, Humlum, Bækmarksbro Police.